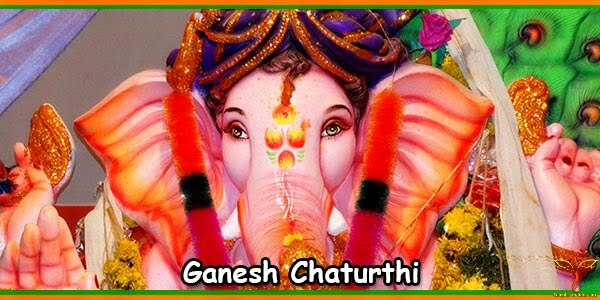 Ganesh Chaturthi is a popular festival in India which celebrates the birth of Lord Ganesh, the elephant-headed God. This festival is celebrated with a lot of enthusiasm and hubbub all over the country and its celebration at Mumbai is highly significant. Because of the different customs and traditions prevailing in different parts of the country, different kinds of materials are used for making Ganesh idols for the festival. Some of these materials are clay, Plaster of Paris, turmeric, papier mache, etc. In the earlier days, unbaked clay or Shadu was used for making Ganesh idols. Shadu is a type of natural clay, usually found in the Konkan region of Maharashtra. But later on, idols made of Plaster of Paris became popular in the market. Plaster of Paris idols were preferred because they were cheaper and easy to handle. But later it is understood that Plaster of Paris idols are harmful and increases water pollution. 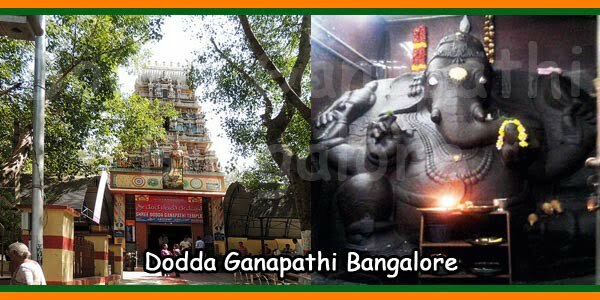 Subsequently people prefer to use bio degradable items like clay, coconuts, paper pulp, turmeric, brass and various metals for making Ganesh idols. The new concept of creating edible Ganesh idols is noteworthy. Recently materials like grains, sago raw vegetables, water melon, Chocolate, gems, turmeric and wheat flour are used for making idols of the Lord. Marcela: In the Ponda Taluka of the North Goa district, there is a small town called Marcela, which is renowned for making unique idols of Lord Ganesh. The idea of using eco-friendly materials was initiated by Namdev Tari from Sai Kala Mandal. The different materials they use to make the idols include coconut, raw turmeric roots, durva, raw corn, spices, flowers, betel nuts, bamboo, shells, black clay etc. They even use musical instruments, sky lamps, cotton, wax, ropes, rubbles, and newspapers to create idols. 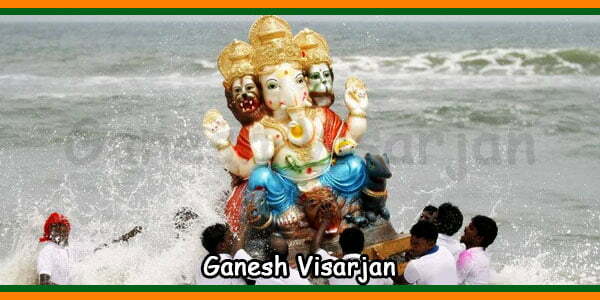 Mumbai: Mumbai is the city in India in which Ganesh Chaturthi festival is celebrated in a boastful manner. In the state of Maharashtra, clay or Shadu was used to make idols. Shadu is a kind of natural clay generally found in the Konkan region of Maharashtra. 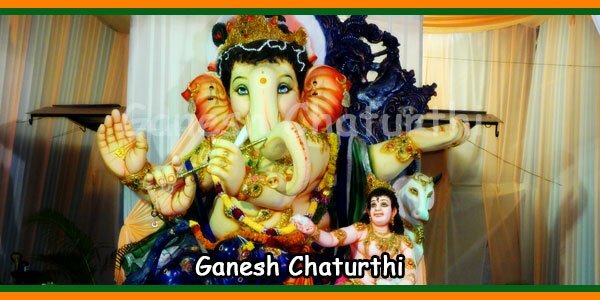 Plaster of Paris idols are banned in Maharashtra in the year 2011, and nowadays organic products and other bio degradable materials are used in Mumbai and other places of Maharashtra to make Ganesh idols. Hyderabad: There were awareness campaigns in Hyderabad regarding the poison and pollution effects of Plaster of Paris idols, and subsequently the sale of Plaster of Paris idols have reduced and they are replaced by beautiful idols made of clay. Hyderabad promotes the use of bio degradable materials for making Ganesh idols. 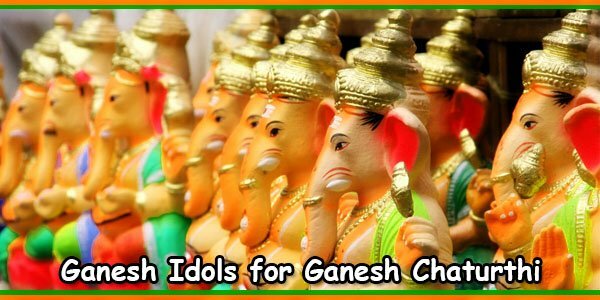 Together with Andhra Pradesh, other states like Tamil Nadu, Goa, Maharashtra and Gujarat also encourage the creation of Ganesh idols using eco-friendly materials. 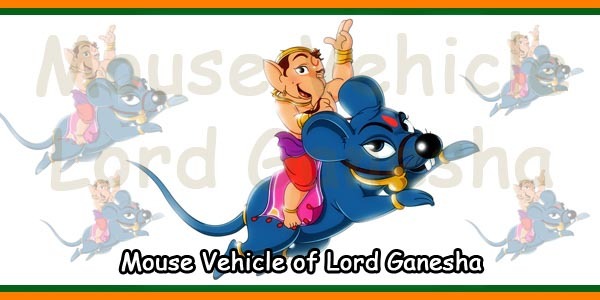 There are some myths regarding the boons and benefits of devotees by worshipping Ganesh idols made from some specific materials, which are summarized below. 2) A green jade (marakata) idol will be helpful in gaining spiritual knowledge, intelligence and salvation. 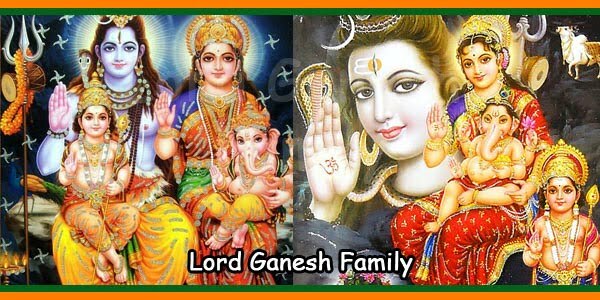 4) A crystal (sphatika) Ganesh provides a happy married life. Among the various materials used for making idols, unbaked clay idols are always proved to be the best, because they are perfectly eco-friendly and do not cause water pollution. 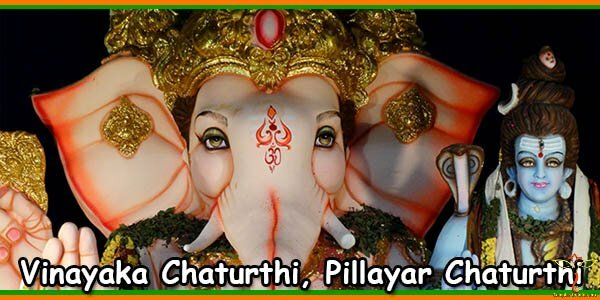 People have become aware of the damaging effects of Plaster of Paris, and many states like Andhra Pradesh, Tamil Nadu, Maharashtra, Gujarat and Goa now use only eco-friendly Ganesh idols.